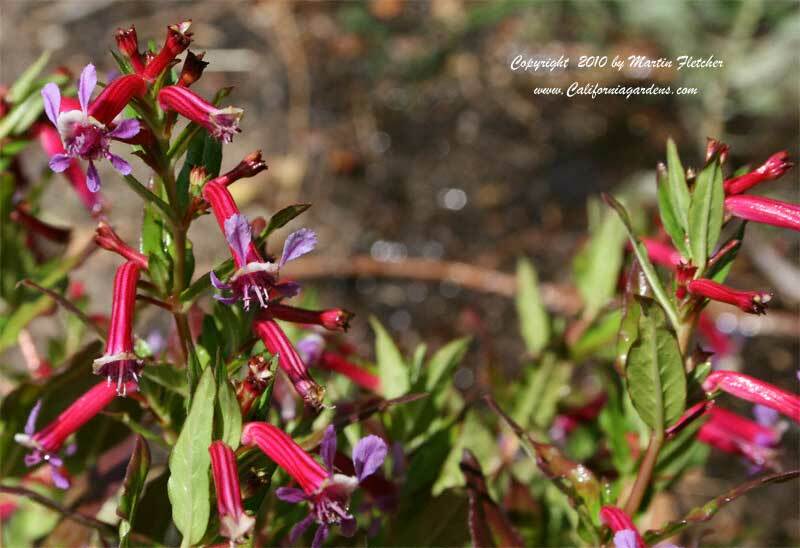 Cuphea lanceolata Starfire blooms in all but the coldest months, and and much of the time prolifically. The hummingbirds love it, so do most gardeners. Cuphea lanceolata grows 1-2 feet tall and 2-4 feet wide in full sun to light shade. The plants are drought tolerant once established but will require at least semi regular irrigation to get there. Cuphea lanceolata Starfire is hardy enough to withstand a light frost, but not much more. Flowers and foliage of Cuphea lanceolata Starfire the Starfire Cigar Plant. High resolution photos are part of our garden image collection.